The wetlands of the Tame Valley, located along a 20km stretch of the River Tame between Coleshill and Tamworth, offer a wonderful hidden landscape for people and wildlife. The last century has seen huge impacts on the river and its floodplain due to pollution, sand and gravel extraction and fragmentation from development and transport routes. In the past twenty years, the value of this area as a cohesive landscape has started to be recognised. 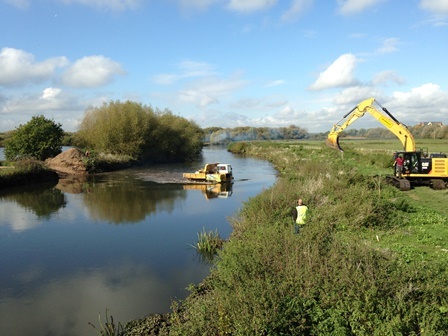 In 2005, Warwickshire Wildlife Trust set up the Tame Valley Wetlands Landscape Partnership and has championed action to strengthen the resilience of the area through the creation of bigger, better and more joined up habitats and by reconnecting local people with these natural assets that are so important for society. Since then, the Partnership has grown and strengthened. 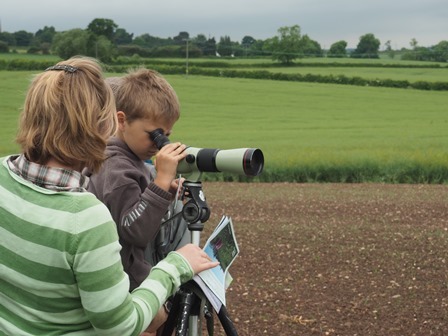 On behalf of the Partnership, Warwickshire Wildlife Trust secured £1.8 million of funding from the Heritage Lottery Fund in 2013 to develop and deliver a landscape partnership scheme with the vision of ‘creating a wetland landscape, rich in wildlife and accessible to all’. Over £2.5 million has been invested in the landscape. The Trust and Partnership won the prestigious UK River Prize 2018 ‘Best Multiple Benefit Partnership Project’ category. The area has been designated as Warwickshire, Coventry and Solihull’s first Nature Improvement Area (NIA). 23,500 volunteer hours have been donated and we’ve captured some really interesting local memories. There have been over 110,000 page views of the Tame Valley Wetlands website and a Facebook total reach of nearly 450,000. We also reached an audience of 6.3 million people when we featured on BBC Countryfile! 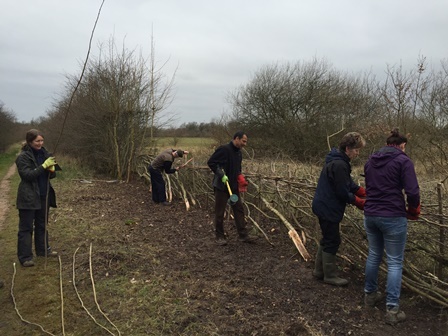 1,949 metres of hedgerow have been created or restored. Over 2km of watercourse have been restored or enhanced, and 35 hectares of wetland habitat have been created or restored. Nearly 300 school and youth sessions have been delivered, engaging with over 5,000 children and young people. 21 people have received a City & Guilds or Open College Network training accreditation, with a total of 3,088 guided learning hours. 40 young people have also received the John Muir Award. 1 full-time, 18 month marketing apprenticeship has been completed, leading to the participant finding a full-time permanent job in the sector. Over 6km of footpath have been improved and 74km made more accessible through the creation and promotion of 10 new circular trails. 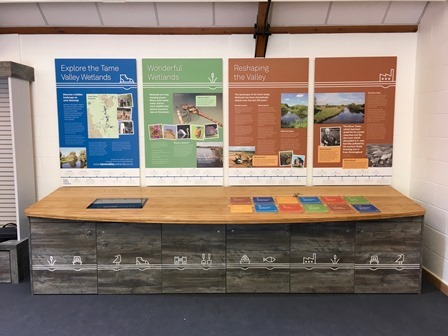 A new brand and website has been established; a variety of new interpretation and films have been created; and a new ‘Gateway to the Tame Valley Wetlands’ visitor centre at Kingsbury Water Park has been created, with over 75,000 visitors. 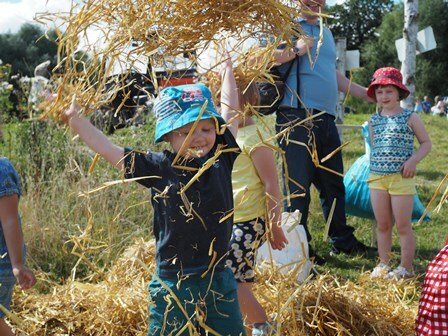 The grant from the Heritage Lottery Fund has enabled us to deliver great outcomes for wildlife, people and heritage. It has also made us stronger as a partnership, with 24 organisations all working together towards our new shared 2030 vision. 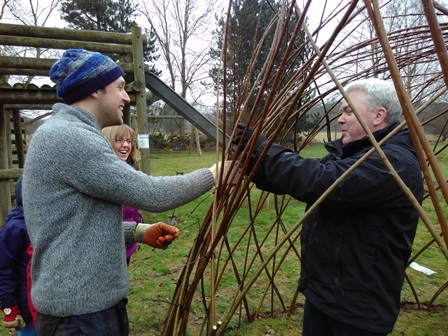 We have been working hard to make our presence in the area sustainable and a team of 5 members of staff plus our fantastic volunteers, hosted by Warwickshire Wildlife Trust and Staffordshire Wildlife Trust, will continue into 2019 and beyond. Now, more than ever, partnership working at a landscape-scale is vital if we are to protect our wildlife and heritage, turn threats into opportunities, and build on the exciting momentum that we’ve created over the last few years. 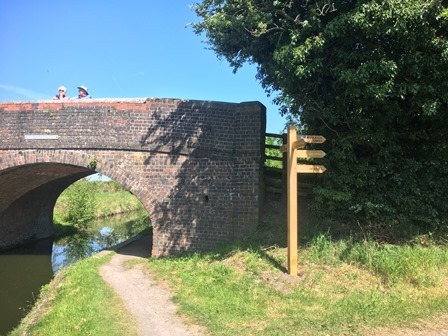 A huge thank you to the Heritage Lottery Fund, Biffa Award, our other funders, partners, volunteers, the delivery team and the local community for making the Tame Valley Wetlands Landscape Partnership Scheme such a success! To find out more about our work over the last four years, watch our documentary film below! This entry was posted in Blog, Featured, Latest News, News, Project updates, Projects on 14th October 2018 by Tim.